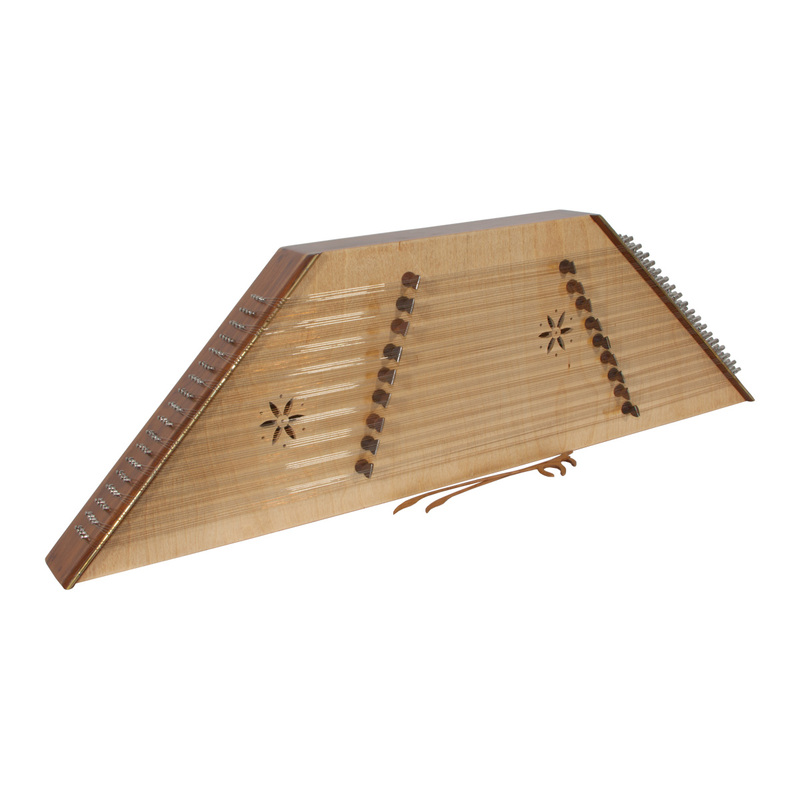 Also called the Santur, it has 3 octaves, 72 strings, 9 right & 9 left courses, carved sheesham, movable treble and bass bridges. Body: The body is genuine sheesham and multi layer with sheesham veneer. Soundboard: The soundboard is Finnish birch ply. End Pegs: There are metal end pegs located opposite the tuning pegs. Bridge: There are 2 side bridges, 9 treble and 9 bass bridges. Tuning: The recommended tuning is Traditional Fifth Interval, see tuning chart in Owner's Guide.